The 2018 Annual Safety Meeting is now CLOSED! Welcome to the website for the Indiana Department of Education Office of School Transportation. 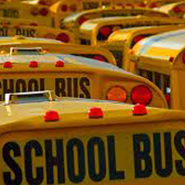 The following links will take you to content areas relevant to the information and/or questions you would like to know about school transportation in Indiana.